Our dentists love kids! 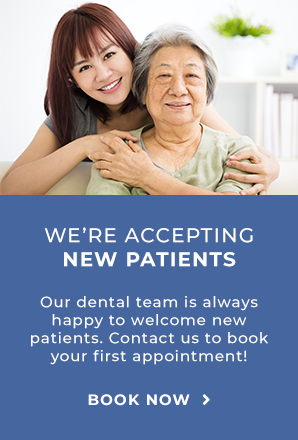 The whole family is welcome at our Scarborough family dentist office, and our location inside the Scarborough Walmart makes us a convenient and easy choice. We can’t wait to meet your whole family. We offer many dental services for children, including teeth cleaning, fluoride treatments, and sports guards. And we'll teach them important things, like how to brush and floss your teeth! Ideally, your children should visit our family dentist practice for their first dental checkup by the time they are three years old. And if you have any concerns, they should come in earlier. We take extra special care when introducing children to the dentist’s chair because we know how important it is for them to feel comfortable. The experience begins before their first appointment. We take the time to give them a V.I.P. (Very Important Patient) Tour of our office. We’ll give them to a ride in the dental chair and give them an up-close look at how some of the 'cool' equipment works. When your child is ready we will begin their appointment. And if they are still feeling scared or anxious we will reschedule for another time.